Let's hear it for soothing floral herbs like lavender in our smoothies! 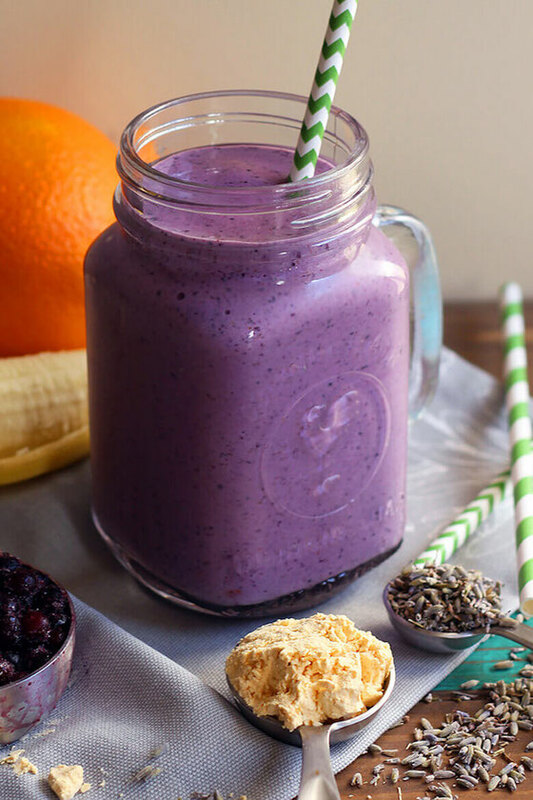 This wild blueberry and lavender delight is bound to help you de-stress and power up for your morning. Thanks to the folks at Wild Blueberries of North America for sponsoring this post. As always, all opinions are my own! Floral ingredients You can expect to see both fresh and dried herbs in everything from smoothies to lattes to pancake syrup. Lavender, rose, and hibiscus will be highlighted flowers in 2018. My personal favorite is lavender because it's so calming! Powders While powdered peanut butter has long been growing in popularity, we're going to see even more powdered ingredients gaining rank, from matcha to powdered eggs. If you want to add extra protein to a recipe, powdered eggs and powdered egg whites are good options because they're less processed than many other protein powders. Wild ingredients As you probably know, I'm a big fan of wild ingredients such as wild blueberries because these foods can contain more nutrients than some of their conventional counterparts. Wild blueberries, for example, offer twice the antioxidants of cultivated blueberries—and eating an antioxidant-rich diet may help decrease the risk of cancer and heart disease. Now let's get to smoothie making! I decided to combine these three food trends into one smoothie, so I blended together frozen wild blueberries with dried lavender and powdered eggs. 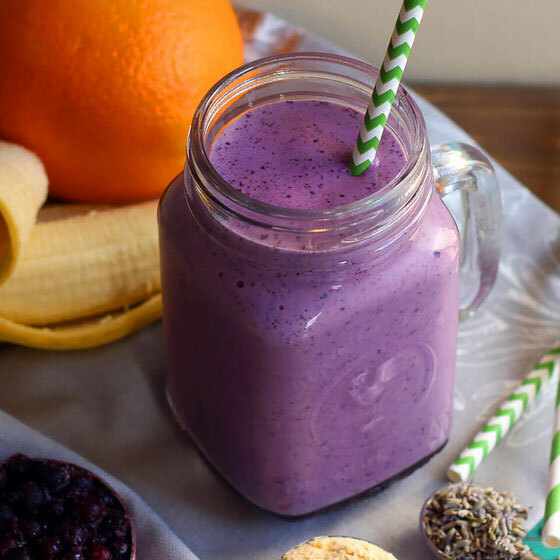 I sipped this smoothie first thing in the morning, and it presented such a calming start to my day! And here's a bonus: The smoothie is made with a few protein-offering ingredients, including milk, plain Greek yogurt, and powdered eggs. Because of this, it offers an excellent amount of protein, 28 grams, which would also make it a great choice to sip post workout to help build and repair muscles. 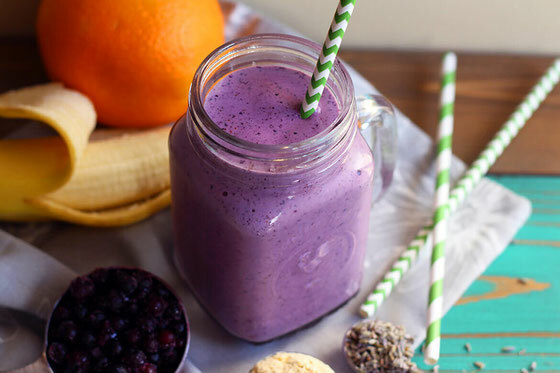 I hope you'll love this smoothie as much as I do! It takes just a few minutes to blend up! Blend ingredients together, and enjoy! Makes 1 smoothie. What are your thoughts on this topic? What are your favorite ways to eat or cook with floral ingredients?